Trimble County Farm Bureau board member Traci Heveline presented county scholarships of $1000 each at the school awards program. 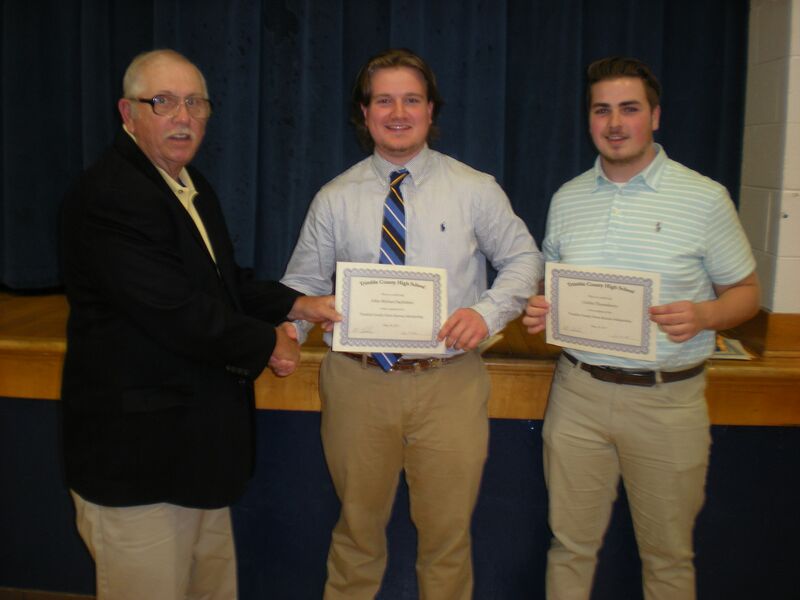 Pictured are County President Jerry Oak with John Michael Sachleben and Corbin Thornsberry. Pictured are Trimble County President Jerry Oak, John Michael Sachleben and Corbin Thornsberry.